A slapdash survey of oceanic science from the prolific veteran. 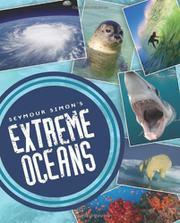 Surfing over topics he’s covered in his plethora of previous books, Simon offers general remarks about seas, waves, tides, storms, undersea mountains and volcanoes, sea life and climate change. As ever, the many big, clear nature photographs deliver delicious eye candy, but the author’s long-standing aversion to captions sometimes can leave readers frustrated or puzzled: What, for instance, is that gelatinous blob next to the whale shark, and why is the discussion of Arctic sea ice illustrated with two photos of a receding glacier on land? His proofreading could have been done with more care too, as one cut-and-pasted picture’s internal label includes an unexplained reference to “ASTER” (an Earth observation satellite), and his claim that the water temperature differential between El Nino and La Nina is “50° to 100°F” is off by a factor of 10 or more (though the Celsius equivalent provided in parentheses is not).